Mitchell Cypress is a fixture in the Seminole Tribe of Florida and has been for many years. He’s held several titles, positions and responsibilities. 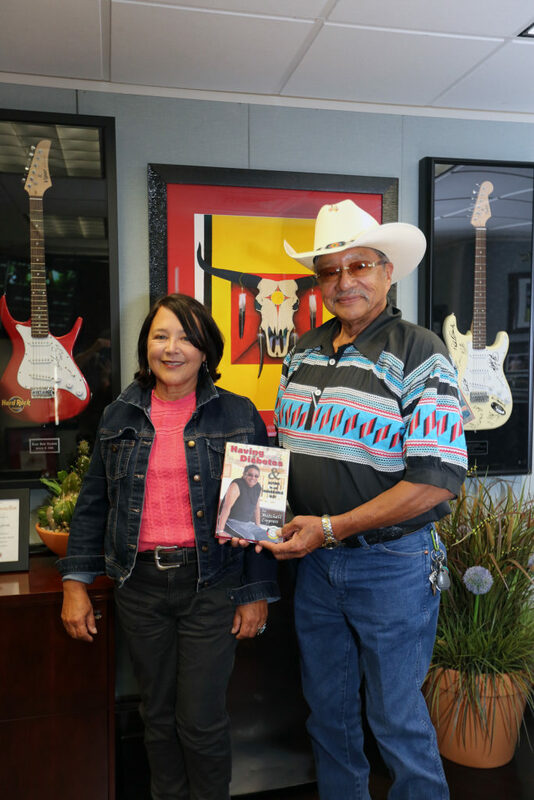 Cypress currently serves as the President of the Board of Directors and the Vice Chairman of the Tribal Council. But it’s his role as a mentor for those struggling with diabetes that may be one of his most enduring titles, even if it’s one he never sought out. It’s been about 10 years since Cypress wrote and published “Having Diabetes & Acting in an Honorable Way,” with Cecilia Kayano. 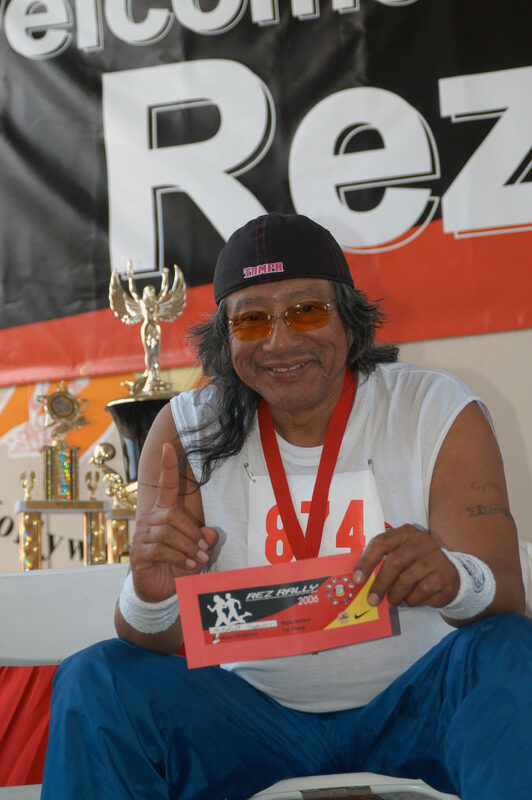 During that decade, Cypress has traveled throughout the Tribe, the state and even other areas of the country to talk to Seminoles, Natives and anyone who will listen about his struggles with alcohol, smoking, his diet and living with diabetes. The book features personal stories that are often tragic. But the situations are peppered with Cypress’ innate humor, integrity and positive outlook on life. Each chapter chronicles his life and how he went from denial of his disease into a weight loss and fitness journey that lasts to this day. There were key moments in Cypress’ life that both preceded his diabetes diagnoses and would help to propel him into recovery from addiction and to maintenance of the disease. One of those moments came when his wife died. As he was trying to deal with what he describes as the “immense grief” after her death, he sought the advice of six elder Seminole men during a Corn Dance who had also lost their wives. The widowers gave him advice that he says would eventually help him deal with many of his challenges and also reinforced the importance of listening to elders. “I had alcohol addiction. My wife died on my lap. Two of my daughters were gone. My whole family was gone. I had nothing left,” Cypress said. It’s that kind of stark honesty that has connected so many to his story. “I gave all my information so the next guy won’t do it. That’s the whole idea,” he said. Cypress would later gain two daughters through the relationship with his current girlfriend. “It brought me back to this world,” he said. Another pivotal moment was when Cypress was diagnosed with diabetes in 1983. His blood sugar reading was 600 (normal is 100), forcing him to be checked into the hospital. He was about 210 pounds and had an A1C of 14. An A1C is a three-month average reading of blood sugar levels. A 5.7 is considered normal. Cypress said doctors kept him overnight. At some point during the night he thought his heart would stop beating. “I thought I was going to die and I started crying. I prayed that if I got a second chance, I’d do whatever [God] wanted me to do to help my people,” Cypress said. He eventually fell asleep. After he woke up, the doctors said his blood sugar was now too low and he’d have to wait for it to come back up. Cypress would remain in denial about his diagnosis and says he still drank alcohol, smoked cigarettes and ate unhealthy food. “Until I started seeing some of my friends and family with complications,” he said. Cypress’ cousin had a leg amputation due to diabetic complications. “That kind of woke me up. I figured I better do something about it instead of being in denial – not following directions and not eating the proper food. You’ve got to discipline yourself,” he said. “One nurse told me one time: ‘If you want to be with your friends today, keep on drinking, keep on smoking. But if you want to be with your friends for the next 10 years, quit drinking and quit smoking.’ That was a good statement,” he said. He now starts almost every day going for a two-mile walk. Another big moment in Cypress’ life was when he was involved in a vehicle rollover with a friend after a night out at a local bar. “We got out without a scratch. My buddy got out and opened a can of beer and I took a couple swigs. But I thought: ‘There’s something wrong here.’ After looking at this vehicle, we should be injured or something, but we’re not. Someone was watching out for me and gave me a second chance,” he said. Kayano is the book’s editor and photographer. From Pecos, New Mexico, she previously wrote articles for the former “Health for Native Life,” a national magazine produced by the Indian Health Service’s division of diabetes. Kayano once had Cypress featured on the magazine’s cover. The two originally met through Suzanne Davis at the Tribe’s health department. Davis is the manager of Allied Health, the program within the health department that has programs in diabetes, health education and nutrition. It was the beginning of a longtime friendship. Especially as Chairman, Cypress was very busy when the book was being written. He was on the road a lot and the two would meet wherever they could, including in the waiting rooms of health clinics. Kayano said how men overcome denial is critical, and that’s what Cypress talks about. 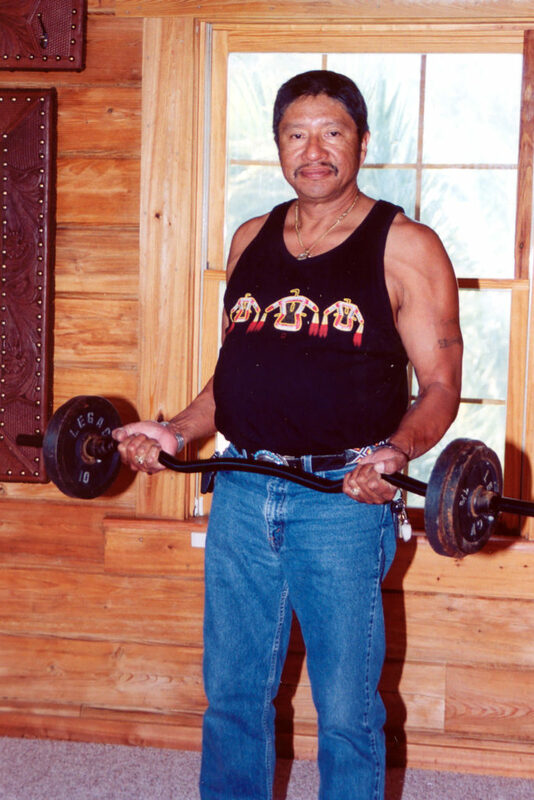 Kayano is now working with the Seminole Tribe on a preschool culture language book. “But I said: ‘It doesn’t go to my head.’ I feel like I’m just another simple guy. A country boy who made it to the top. That’s all I am in my mind. But when [people] look at you, they see you’re way up there,” Cypress said. He said he doesn’t see the benefit of the book as one of money or fame. “My reward is whoever gets this book, reads it and follows it, that’s my reward. That’s my price. I didn’t write this book for me to be famous. I just wrote my book about my life, so that maybe for another person, they will read it,” he said. Davis said the Tribe hosts a lot of different community activities at all the reservations to promote good eating and increased activity, and thus prevent the onset of diabetes. The annual Rez Rally in January is one of the more popular events. “It’s to get people out and moving, to promote camaraderie. One of the things that’s very important for people with high blood sugar is to be active,” Davis said. The department has other programs, too, like a step contest where participants receive Fitbits or pedometers to track how many steps they take each day and win prizes. Davis and her team also do one-on-one consultations for people to help them to prevent or manage diabetes so they don’t face complications. Davis has worked with Cypress on his diabetes management for many years. “He’s been real public about tackling his diabetes for 20 years now. He’s real self-motivated and is always trying to help other community members who maybe don’t understand what to do. He’s been a real inspiration,” she said. Part of the reason Davis thinks Cypress is so effective is it’s different than health staff handing out a brochure. “He actually puts it into practice. That’s the best advertisement. The coolest thing about his book and the way he wrote it is that he didn’t write it from the perspective of a medical person – he really wanted to write it from the perspective of someone who wants to help take care of themselves. That’s what makes the patients want to read it,” Davis said. “Having Diabetes & Acting in an Honorable Way,” published by the health department, is available by contacting President Cypress’ office at (954) 966-6300 ext. 11301.